River, its shadow of shadows 1960-1963. In 1960 Jun Morinaga graduated from the photography department at the Nihon University College of Art, and later that year he began photographing Tokyo rivers, continuing to work on the project over a period of three years. Shortly after beginning the series he met and showed his work to W. Eugene Smith. Smith was impressed and hired Morinaga to work as an assistant on a commission for Hitachi that would become Japan: Chapter of Image (1963). The 1971 Japanese tour of Smith’s retrospective exhibition ‘Let Truth be the Prejudice’ had been produced by Kazuhiko Motomura, and it was Smith who introduced Motomura to Jun Morinaga’s work. 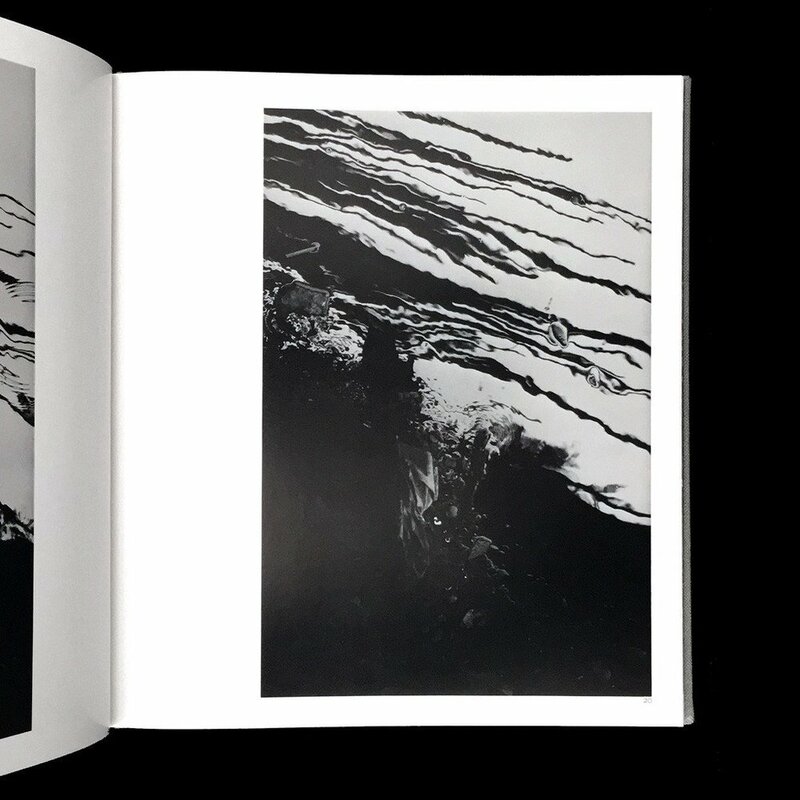 The design of River, its shadow of shadows is by Kohei Sugiura, who was also responsible for some of the most striking Japanese photobooks of the 1960s and ‘70s, including Eikoh Hosoe’s Barakei / Killed by Roses (1963), Kikuji Kawada’s Chizu / The Map (1965), Robert Frank’s The Lines of My Hand (1972), and Yutaka Takanashi’s Toshi-e / Toward the City(1974) amongst others. It is a lavish production with numerous folding pages which serve to slow the viewer’s progress through the book and force a more thorough reading of the work.